Without a doubt, budgeting can be difficult. It’s even harder if you’re following bad advice! Here are budget myths you need to stop falling for. Whether you're trying to build up your savings, pay off your debt, or simply make sense of where your money is going each month, creating a budget can help you reach your financial goals. But creating a budget can feel like an overwhelming task. You may not know where to start, or nervous about seeing exactly how much you spend on those "fun" purchases like clothes, movie tickets, or fast food. If you simply "wing it" when it comes to money, you could find yourself in financial trouble. Research shows that 86% of millennials and 89% of Gen Xers are currently in debt. Creating a budget can help you gain control of your finances, and get a clear picture of exactly where your money is going. Unfortunately, there are a lot of budget myths floating around that can make the process far more confusing than it needs to be. If you believe these myths, you may give up on your budget too quickly—or you may convince yourself you don't need a budget in the first place. To make your life easier, we've plucked out all the wrong things people think of when they think of budgeting. And we've also included proven to be successful advice from real people and experts, so their tried-and-true tips for making a budget can work for you. Ready? MYTH #1: "Budgeting is too much work!" "I'm not a fan of spreadsheets." But even if your schedule is hectic, your tech know-how is nonexistent, and you haven't taken a math class in years, you can still create a successful budget. It's easy to get discouraged by common budget myths, but they don't have to derail your financial goals! If you know the truth about budgeting, you can bust through the excuses and take control of your finances for the long haul. Creating a budget is surprisingly easy. This is the amount you take home each month after taxes and other deductions. One particular plan that gets high marks from many personal finance experts is the 50/30/20 rule. "The 50/20/30 method gives you an extraordinary degree of flexibility and freedom," says William Reynolds, a writer for Mint. It's also easy to follow, even for a budgeting novice, because all expenditures are broken down into just three "buckets:"
Track what you spend each month. It's important to have a clear picture of where your money is going—even that candy bar from the vending machine. 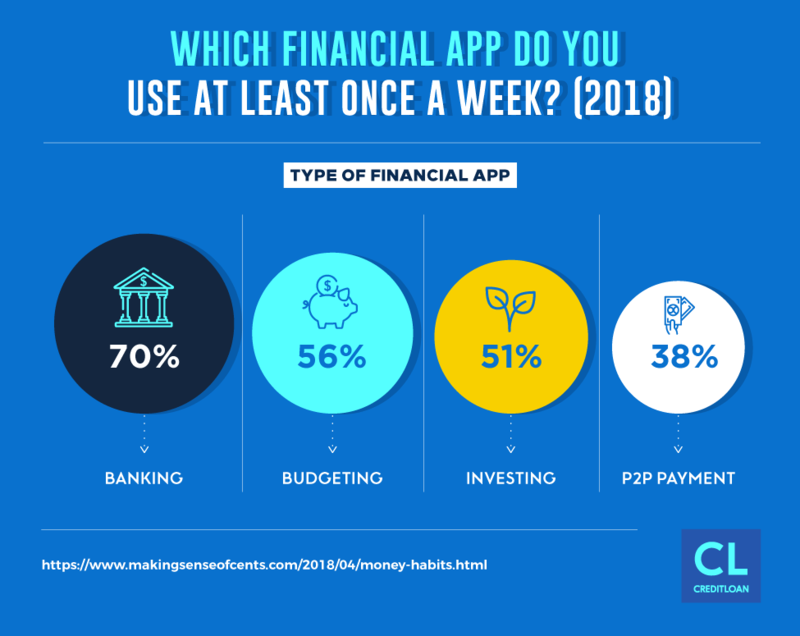 There are so many great (mostly) free budgeting apps that automatically connect to your bank and credit card accounts to help you budget. Just by connecting your accounts (see a complete list below) you'll immediately begin to see some benefits to budgeting. And, once you know where you're money is going, you can easily take steps to course-correct your spending. Find an accountability buddy to support you i.e. friend, relative, or that ole' spouse of yours, and leave room in your budget for fun. Don't forget to revisit your budget. You don't need to track your budget every day, week, or even every month, although monthly checkups are recommended. If you wanted to know what you were spending each month, then you should set up a time on your calendar every 40 days to see how you're doing. One hour for every 40 days? That's nothing! What was the best money you spent? Where could you do better next month? You DO have time to budget. You only need a few hours (at most!) to set up a successful budget, and while it can be a tedious project at first, it gets easier every month. Set up a basic Excel spreadsheet. Write down your monthly take-home pay at the top of the sheet. List your monthly expenses. You can find them on your bank and credit card statements. Add up those expenses to see what the grand total is. If the number is higher than your take-home income, it's time to cut back. Look through your expenses and decide where you can cut back. Write down an idea spending limit for those categories in another column. Once your expenses are less than your take-home income, plan how you'll use the surplus—will you create an emergency fund, put it into a retirement account, or sock it away for a big purchase? Check your budget every month to make sure you're staying within your spending limit. Adjust your budget whenever your needs change or your income changes. You don't need to be a math wizard. If you have visions of complicated economic formulas dancing through your head, don't worry—budgeting only requires simple addition and subtraction, but it could add up to huge savings. Basic math skills are really all you need to make a budget. Your total expenses for the month are $1880. That means you have $120 left over, which you can use to build your savings, put extra money toward credit card debt, or splurge on a fancy dinner or new shoes. It's up to you! There are a lot other easier ways to help you get started budgeting. Here's a quick list of some popular sites and tools to help. Scope them out. They're free and easy to setup. If you're handy with Excel, Google Sheets, or similar spreadsheet software, it can give you extra control over how you track and categorize your data. The power of a good spreadsheet should never be underestimated. A spreadsheet doesn't come with the bells and whistles that many of the other options do, but it gets the job done. If you're not software-savvy, your budget can be as low-tech as you want. While you may be overwhelmed by the idea of starting a budget, don't fall victim to these budget myths and excuses. Creating a budget is easier than it sounds, and there are many tools that can help you along the way. And remember, you can always change which tool you use! Many folks new to budgeting start with a spreadsheet, but eventually switch over to the an online budgeting tool to save time. That's exactly what Jacob, a blogger at IHeartBudgets did. Not only does it track everything for you, saving you hours and hours a month, but it has fancy graphs and pie charts that your significant other will appreciate when going over your monthly spending and upcoming budget. MYTH #2: "I keep a budget in my head." You might feel like you can stay on top of your expenses without writing anything down—after all, you have a pretty good idea of how much you make and how much you spend. But relying on estimation is one of the most common budgeting mistakes. There's a reason the first step in creating a successful budget is to track your spending—it's important that you know exactly how much you're spending and where it's going. A budget in your head isn't a budget at all. At best, it might give you a vague idea about what you spend but to make a difference, a budget needs to be written down or documented on a spreadsheet or something similar that you can continuously track. Mistake #1: They guess their income based on their salary or hourly wage. How much money do you actually receive in your paycheck after taxes, health insurance, and retirement contributions have been taken out? When you're calculating how much money you have available each month, make sure you're basing it on your net income—the exact amount you take home after taxes and deductions. 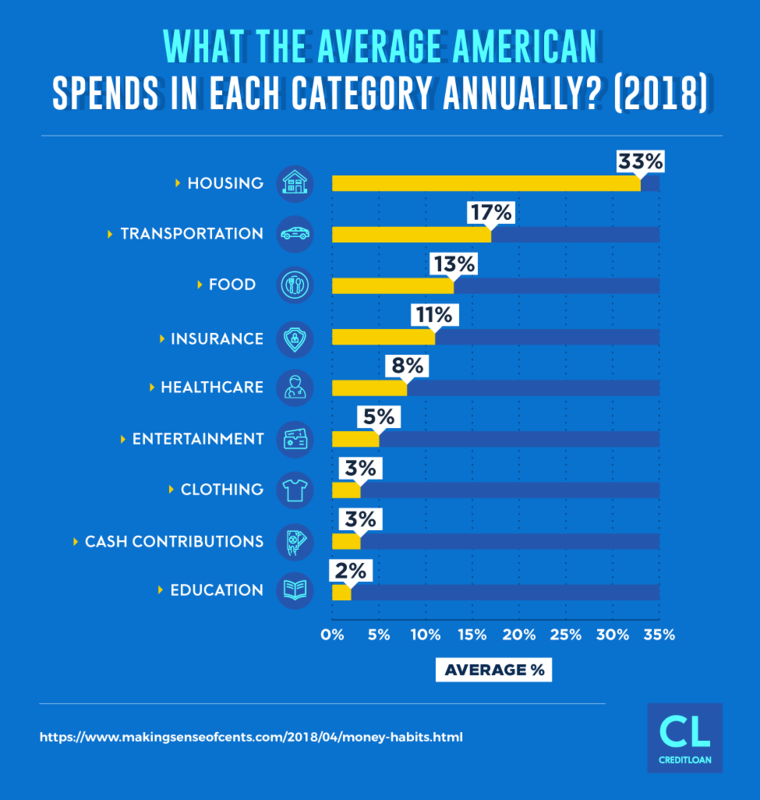 Most people think they know where their money is going, but according to a 2015 study by the JPMorgan Chase Institute, 60% of people vary what they spend each month by 30 percent or more. If you're on a $2,000 monthly budget, that could mean a fluctuation of $600 in a single month. $600 is a lot of money to us. The point is: you need to know where that extra money is going. Mistake #3: They track their spending after they start budgeting. It's hard to get an honest look at where your money is going when you're on your best behavior. When you're tracking your spending, you don't want to look bad. So you stop doing whatever it is you do on Friday nights and you want to look your best. For a more realistic picture of how you spend money, look at your last three credit card and bank statements to see how you spend when no one is watching. Creating a budget is an important step in managing your finances and eliminating debt, so don't make the mistake of relying on loose estimates. By tracking your expenses and writing down your savings goals on paper or in an online budgeting tool, you can create a realistic budget that actually works—and that means more money in your pocket each month and the ability to save. MYTH #3: "I'm broke. A budget won't fix that." If you're living paycheck to paycheck, you may feel like there's no point in having a budget—after all, you already know the money you make barely covers your expenses. But there are a few reasons why it's smart to create a budget, even when you're broke. One unexpected expense—like a fender bender or medical bill—could rack up credit card debt and even ding your credit score. 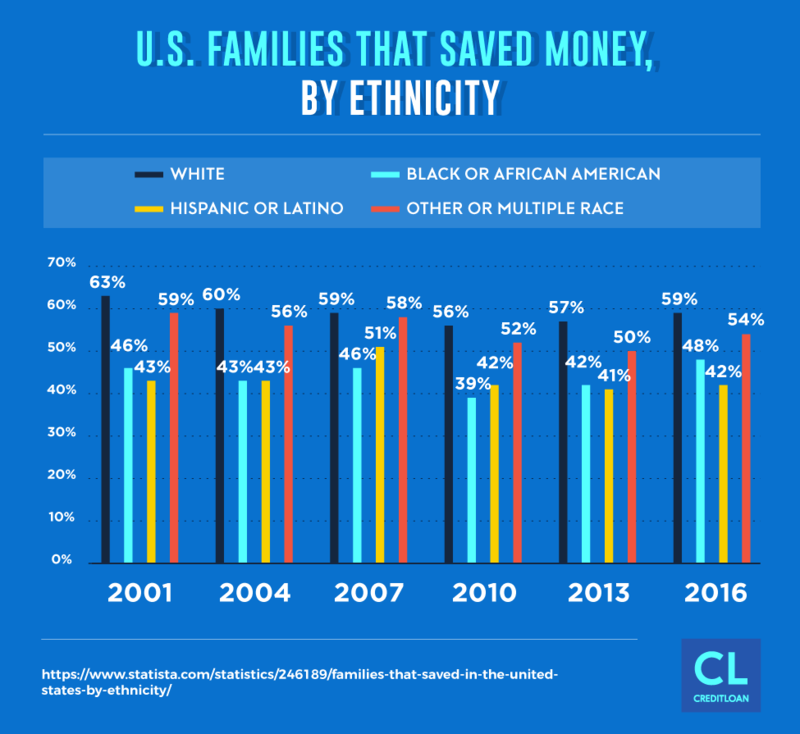 But if you can find a way to trim just $10 a week from your budget, you can put that money into an emergency savings fund—and at the end of the year, you'd have a $520 safety net. If your income is irregular, a budget can help you through the lean times. You work in a seasonal industry, like landscaping or HVAC. You're a teacher with unpaid summers. You're an hourly employee who takes on extra shifts whenever you can. You work in a commission-based sales job. When your income is irregular or unreliable, it may seem pointless to bother making a budget. But ignore the budgeting myth that you can't control your finances without a fixed income. Having an inconsistent income does not mean budgeting will not work; it simply means your approach may be a little different. 1) Figure out the minimum income you can count on. If you work in sales… This would be your base income before commission. If you work in a seasonal industry… This would be your income in your slowest month. If your work hours vary… Look at the month in which you made the least amount of money last year, and use that as your baseline. 2) Create a "bare bones budget"
4) Decide what you'll do with the extra income during the months where you make more. You can build up an emergency fund, save for a vacation, or start a retirement account. If your income often falls short of your expenses, seeing those numbers on paper might seem like it would just be too upsetting—so why bother? But knowing exactly how short you are each month can help you take steps to improve your financial situation. Having a clear solution can help alleviate the persistent money stress that comes when you burn through your income as fast as it comes in. There are plenty of ways to make money out there if you're considering a "side hustle." When you're barely scraping by, or your income fluctuates month to month, budgeting may feel like a waste of time. But once you create a budget, you'll realize you're never too poor to budget. Budgeting can help you learn more about your spending habits, build a slow-but-steady emergency fund, and improve your financial situation. When you're broke, it's actually one of the most important times to budget and keep track of your finances. MYTH #4: "I'm NOT broke, so I don't need a budget." On the flip side of feeling too broke to budget, you may feel like budgeting is only useful for people who are struggling to make ends meet. But even if you can comfortably pay your bills every month, a budget can help you make the most of your finances and stretch your income further. After all, if you don't keep a close eye on where your money is going every month, you might be spending way more than you realize. And paying your bills isn't the only benchmark for financial fitness—you should also be saving money every month, whether you're building a rainy-day fund or saving toward a long-term financial goal. "I don't need to budget if I can pay my bills." "While paying your bills is great, it is not budgeting. You actually have to sit down each month and write out a paper budget. You have to consciously tell that money where it is going to go. If you don't, you are bound to mindlessly spend it." "You can't take it with you!" You don't want to spend so frivolously that you end up saddled with debt when you retire. Spending like there's no tomorrow is definitely budgeting advice you should ignore. "It's true that you can't take money to your grave, but that's an irrational reason for spending freely and worrying about the consequences later," says Laura Woods at GoBankingRates. "I'm not saving for anything, so why bother?" Your financial goals will change throughout your life, and when that happens, you'll never regret being smart about your finances. "Perhaps you don't want to save up for a house because you live in New York City and expect that renting will be the most affordable option for the rest of your life," says Amy Fontinelle, a writer for Investopedia. "But in five years, you might be sick of the Big Apple and decide to move to rural Vermont. Suddenly, buying a home becomes more affordable and you might wish you had five years' worth of savings in the bank for a down payment." "I'm still young—I'll worry about saving later!" A blogger for Elite Daily caused a stir when she suggested 20-somethings were "doing something wrong" if they saved money rather than spending it freely. This might be the single worst piece of money advice a 20-something can receive. If you have savings in your twenties—any at all—you are not doing something wrong. In fact, you are doing something very, very right. If you have enough money to cover your monthly expenses, that's a great sign that you've made smart financial decisions so far. Instead of using that as an excuse to skip out on budgeting, realize that creating a budget is just one more smart decision you can make to help you on the path to financial success. MYTH #5: "I can't control my fixed expenses, so why bother?" When you're trying to trim your budget, you're likely to start by reducing how much you spend on "extras" like entertainment and food—after all, those categories usually have plenty of wiggle room. But you may not realize you can also save money on supposedly "fixed" expenses like mortgage, utility bills, insurance, and internet access. When someone is trying to pay off thousands of dollars worth of credit card debt, they might learn how even seemingly rigid monthly expenses can be lowered with a little creativity—even some seemingly fixed expenses can get whittled down to a more manageable number. Here are a few ways to cut back on those fixed expenses. If you carry a mortgage, you may want to refinance your home for a lower interest rate or longer repayment term to reduce your monthly payment. If your home has dipped in value since you bought it, have a tax reassessment done—you may be able to lower your property taxes. Consider renting out a room in your home or subletting your apartment to help offset your monthly payment. If you rent from a private owner, ask if you can lower your rent in exchange for painting the apartment or mowing the lawn. If you're saving for something big, or trying to make a serious dent in your debt, consider moving in with your parents temporarily. Even a three-month stay can make a significant dent in your expenses. Consider buying a cheap used car. Not only can you pay it off more quickly, but your insurance will be cheaper, and it won't depreciate as quickly. Contact an independent insurance agent about. Switch carriers. Gone are the days when you were stuck with the carrier that issued your cell phone. If another carrier is offering a better monthly deal, unlock your phone and switch over. Share a "family plan" with a budget-savvy friend. "Splitting the cost with other people can lower the amount you pay overall," Kelsey Sheehy says on NerdWallet. Pay attention to your data. Use WiFi whenever you can to limit your data usage, and make sure you're not springing for more data than you're actually using. If it's available in your area, bundle your internet service with cable to get a reduced package rate on both. If you only use the internet for basic web surfing, make sure you're not paying for premium download speeds. If you have an unlimited data plan on your phone—and don't plan on lowering it—consider using your phone as a WiFi hotspot rather than paying for internet service. Nix the premium channels, and ask your provider if a smaller package is available in your area. Switch providers to take advantage of discounted introductory rates. Skip it altogether! You may find Netflix and YouTube are enough to keep you entertained. Clean your vents for better airflow. Don't run your heat or air-conditioning on mild days. If your power company offers discounted rates during off-peak hours, consider doing your laundry or running your dishwasher at night. Load your dishwasher the right way, so you won't have to run it as often or re-wash any dishes. Unplug phone chargers and small appliances when they're not in use. This simple step can knock up to 10% off your energy bill! These simple steps really do work. Jason Chen, a blogger for Lifehacker, says he cut his energy bill using easy changes like unplugging unused appliances, reducing his usage, and installing efficient light bulbs and lamp timers. MYTH #6: Sticking to a budget means I can't have any fun. Chances are you associate "living on a budget" with making sacrifices and cutting out all unnecessary expenses—sort of like putting your wallet on a diet. But while budgeting does require you to be more mindful of how you spend your money, you don't have to give up everything you enjoy! Most finance experts agree you'll be more likely to stick to your budget if you leave room for fun purchases like movie tickets, music downloads, or the occasional pizza delivery. The number one rule of setting budgets is to not cut all the fun out of your life. It's not about cutting out everything that gives you joy in life. It's about better allocating your money. For many people, seeing how much they spend on fun stuff is the most nerve-wracking part of creating a budget. For instance, you might be afraid of feeling guilty about your purchases. But creating a budget lets you see exactly how much you can afford to spend on fun stuff each month—so you don't have to feel an ounce of guilt when you spend within your limits. It helps you stress less. Worrying about money can be a huge source of stress. According to a Bank of America survey, 41 percent of millennials say they're "chronically stressed" about their finances, and 55 percent say that worrying about money affects their leisure activities. Creating a budget gives you a sense of control over your finances, which can relieve that stress. Check your local library—many offer free movie rentals, video game rentals, yoga classes, and museum passes. Look on discount sites like Groupon and LivingSocial to find bargains on local restaurants. You can easily knock 50% off your restaurant bill by planning ahead. Walk, hike, or go for a bike ride in a local park. Instead of meeting friends at a restaurant or bar, invite them over for a potluck dinner and board games. Check out a local band—for a few dollars, you could catch a new artist before they start selling out arenas for $100 a ticket. It can free up funds for amazing experiences. Mark and Britnee Johnston, the bloggers behind OneWorldOneYear, made a goal of saving $40,000 so they could travel the world. They did have to make a few lifestyle changes—like trading date nights for Netflix and taking on extra freelance work in addition to their full-time jobs—but it was worth it when they hit their goal in only two years. The key is to make small changes, so you don't experience what Lindsay VanSomeren, a writer for CreditSesame, calls "lifestyle shock"—that feeling when you go from spending frivolously to living on a super-strict budget. She recommends starting small by focusing on the categories in which you spend the most money, and reducing those expenses by 30 percent. Let's say you go out to lunch three times a week and spend $8 each time. That's $24 per week, or $96 in four. If you also go out for dinner every weekend and spend around $50, that's $200 in four weeks. So your total monthly dining (lunch and dinner) expenses are around $296. 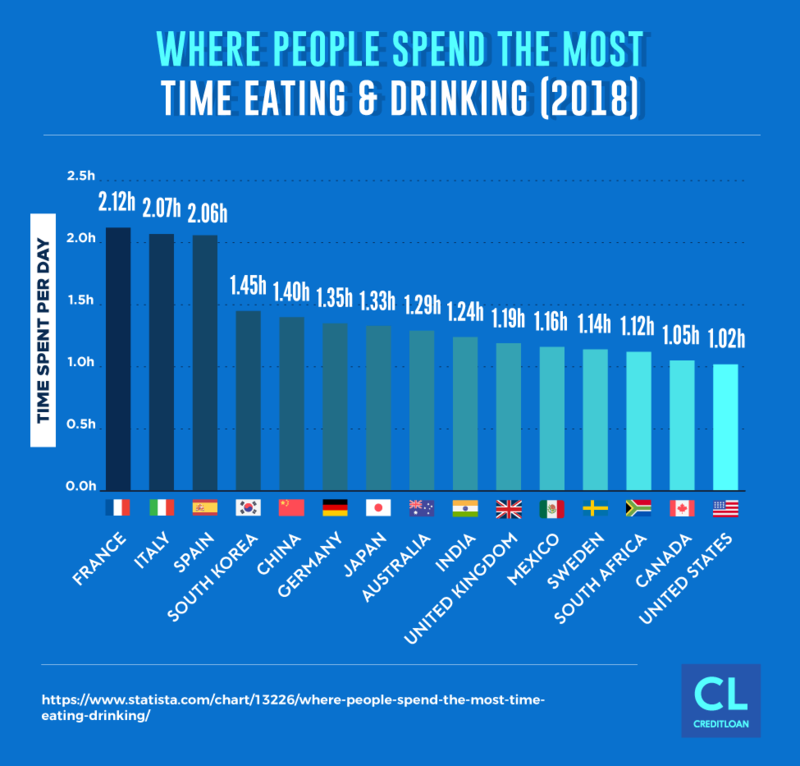 To reduce that by 30%, you'd need to aim for a $208 monthly dining budget—which means you have to spend around $88 less each month. Go out to lunch once a week instead of three times. You'll save $64 in four weeks. Order tap water instead of a $2 soda when you go out to dinner. In four weeks, you'll save $8. If you normally order a $4 beer with dinner, skip it. In four weeks, you'll save $16. With those small adjustments, you've saved a total of $88 and slashed your dining expenses by 30 percent without depriving yourself. And once you get used to your new budget, you can always reduce it again. With so much information at your fingertips, it can be hard to separate budget myths from solid money advice. If you believe the biggest budget myths, you might assume that creating a budget is an overwhelming, time-consuming task. You may feel like you're too poor to bother with a budget or too financially secure to need one. And you may worry that living on a budget will just make you feel guilty about every penny you spend—or worse, you won't be allowed to spend money on anything fun anymore. But creating a budget is simpler than you might realize, and there are plenty of useful budgeting tools that can help you get started. No matter what your current financial situation is, a budget can help you get a clear sense of how much you're spending, ways you can cut back, and how you can build your savings. The bottom line: Budgeting doesn't have to be impossible, boring or impossibly boring—it can inspire you to get creative about how you spend your money, and it can even help you save up for a dream house or a trip around the world. So ignore the budget myths, sit down at your computer (or just grab a pen and paper!) and get started. Interested in learning more about budgeting? Were you once a budget naysayer and then changed your ways for the better? What pushed you to make the change? Let us know in the comments below.